I backhanded this beast on accident and I've been crying for 2 straight days. It was 100% my fault, and I stared at it, in horror, for like 10 minutes before I could even comprehend how disappointed I was with myself. She was a good water pipe thingy, and she deserved a better death. Smoke Well my friends. You never forget your first Ball Rig. 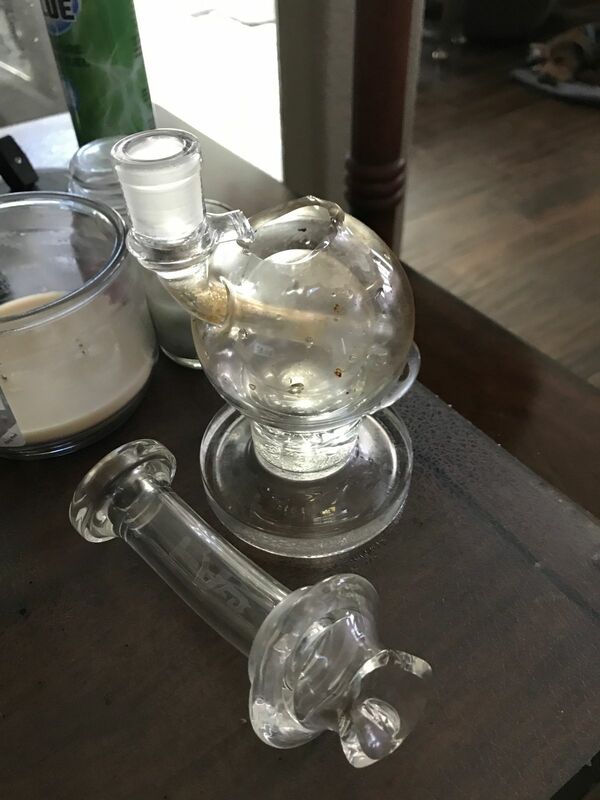 its a well made ball rig. The functionality is there, the used car price isn't. Pretty much my only non recycler I use.